And she really did, didn't she? Anyway, this is the first time in the show that anyone uses the word 'brood', and it's not about Angel. It's about the oft-overlooked B/A nod that is Owen, the boy that Buffy succeeds in not killing on the first day. 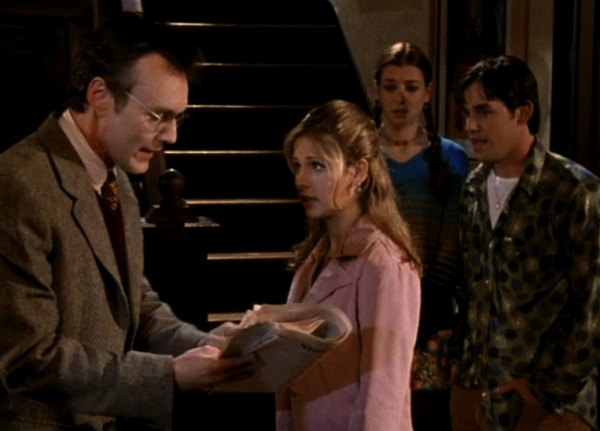 He's the first guy in Sunnydale that she actively wants and attempts to go out with. Why him? Well, he's smart...likes poetry...keen on danger and even a bit morbid...and come on, he's brooding. 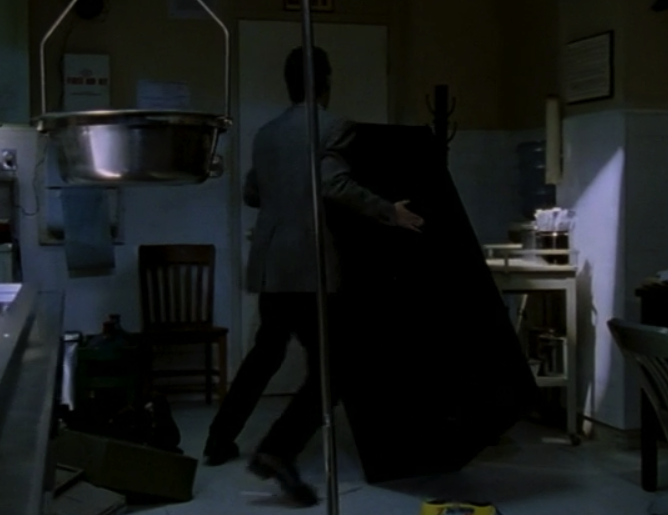 Giles and Objects: Next to Buffy, it's really his episode. 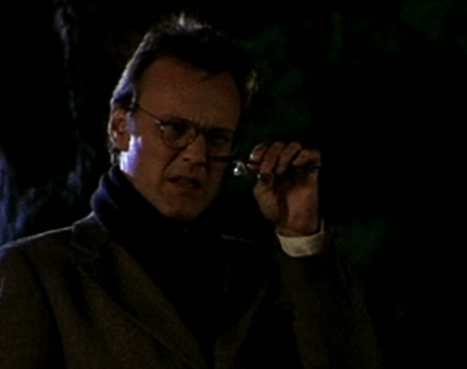 Here's Giles with a ring. • I wonder if Buffy's slaying style, allegedly wasting too much time and energy, is just her trying to make her job more fun. She has to do it anyway, so she might as well make the most of it, right? • I'll be honest, Dickinson was never my favorite poet. She had some great thoughts, but I don't see Buffy relating too much to an introspective recluse. • Not much else to say, so here's another screencap that I pulled before I decided on the one with Angel in it (I know, it's weird that I thought I would want one that didn't have Angel in it). Oh hey, that's actually another Giles and Objects candidate! I'm not going to move it now but check out Giles with a newspaper.